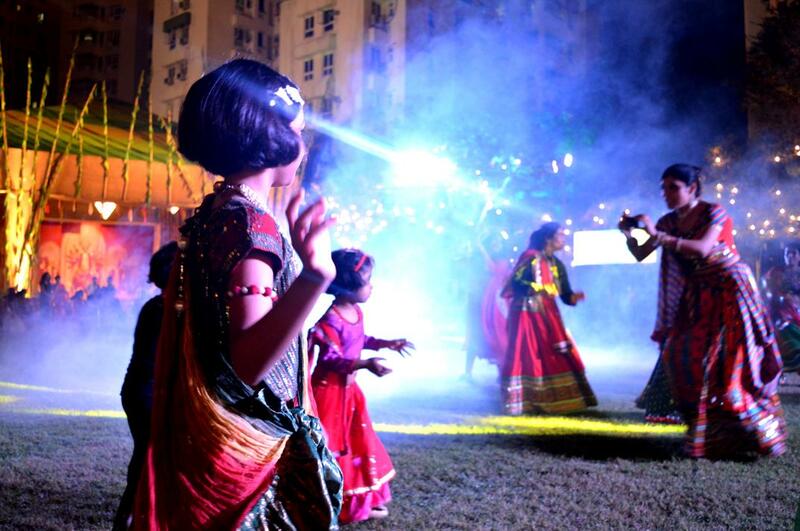 Durga Puja is more than just rituals, religion, food and togetherness. To me, Durga Puja is about celebrating diverse women irrespective of age and profession. Signified by the Goddess with ten hands, these women have showcased similar power. The #7DaysofDesi is an attempt to bring forth these ladies along with the colors and fashion during this festive week. For Day 1, I have three incredible ladies with an impeccable Fashion sense. A home-maker with eight invisible hands, my mother has never failed to amaze me. 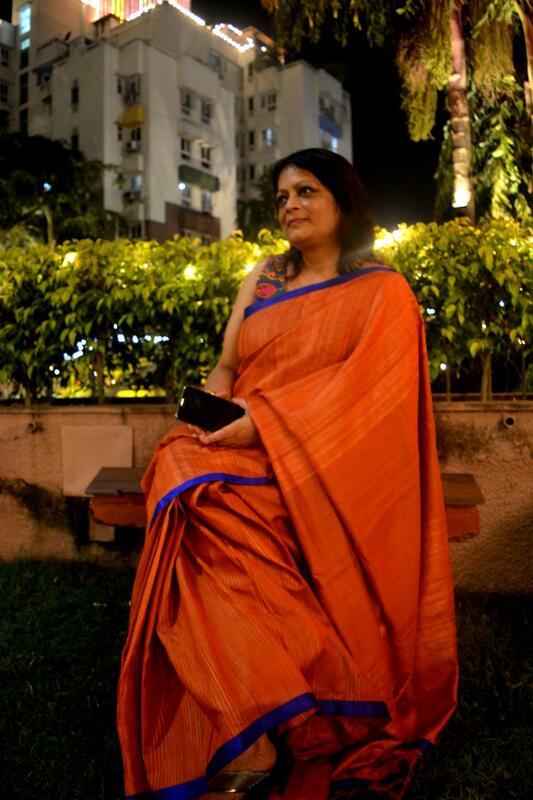 From cooking up to 4 dishes in one go, to stitching a sari in a day’s time, she has been a master at it all. A passionate designer, she designs clothes for her daughter. She is wearing a self designed Sari and Blouse. If there is someone living life king-size, it has to be her. A gynaecologist by profession, she is also a brilliant singer. 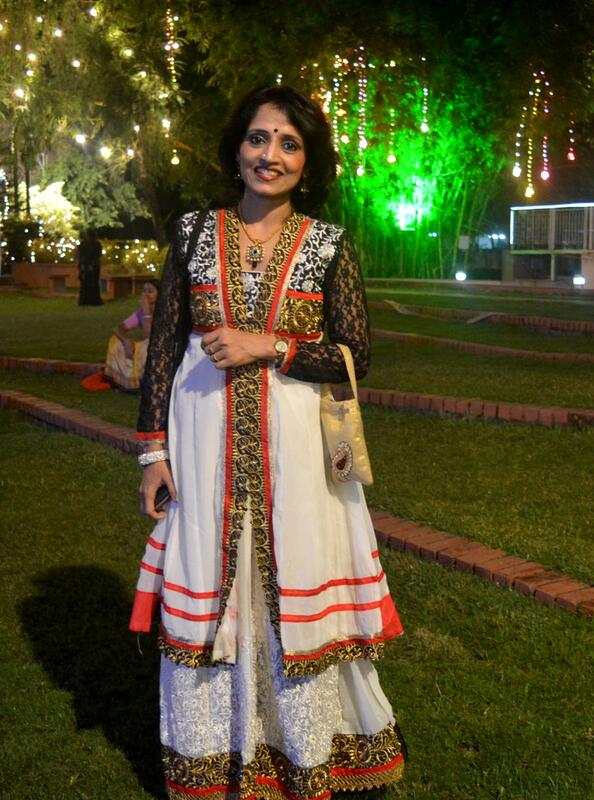 Despite her origin in Chennai, she loves calling herself more Bengali than anyone. She is fashion forward, loves dressing up and has a weakness for anything ethnic. We are in love with the cape tunic and her smile. 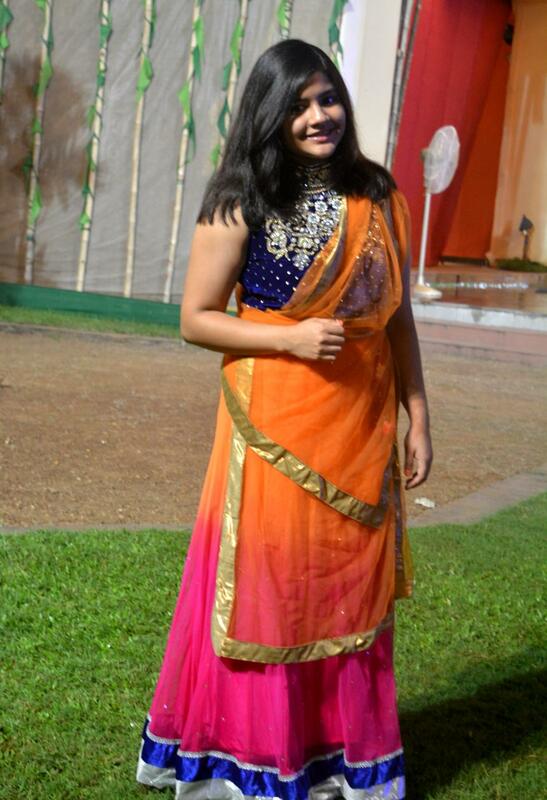 This Noida-based teenager is redefining Gen-Y fashion by embracing ethnic so beautifully. An exceptionally brilliant student, she has also been a topper in school. We love her lehenga, especially the velvet choli (blouse). Wishing this young lady a wonderful future. If you like what you see, follow us on Facebook. Also stay tuned for the rest of the days.